Last week was full of cool astronomy-related stuff after the eclipse. Monday night I stayed up until after midnight to watch the launch of the Falcon 9, which successfully delivered a Dragon capsule to the International Space Station. 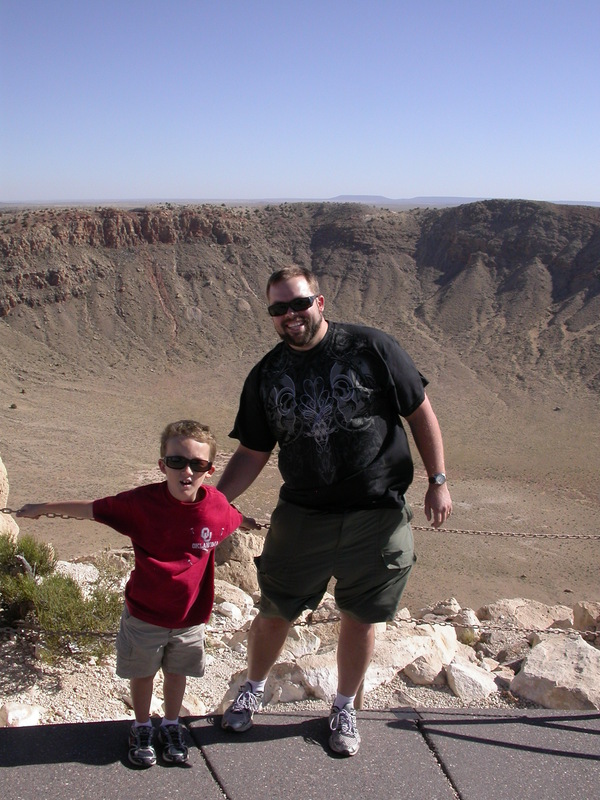 Then on Wednesday London and I went to Meteor Crater and Lowell Observatory. 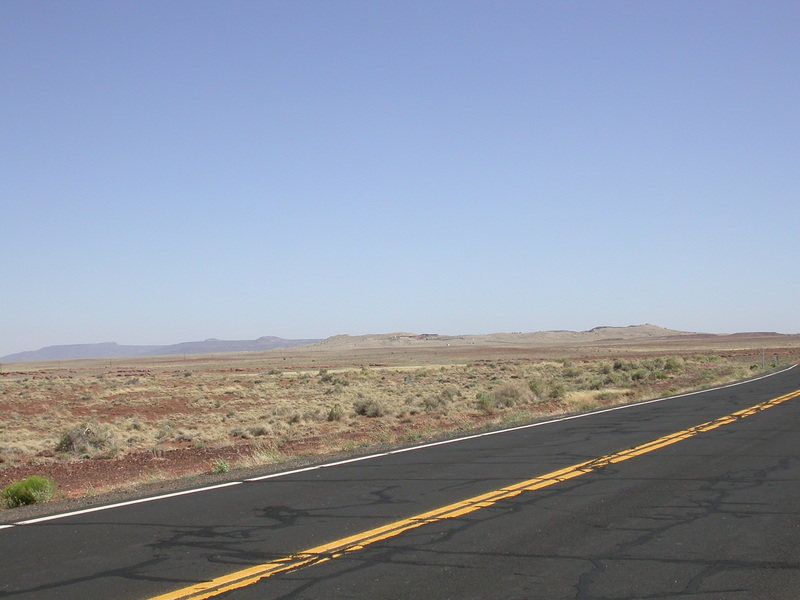 The closer, brighter range of hills on the right in the above photo is the rim of Meteor Crater, which rises 150 feet above the surrounding plains. 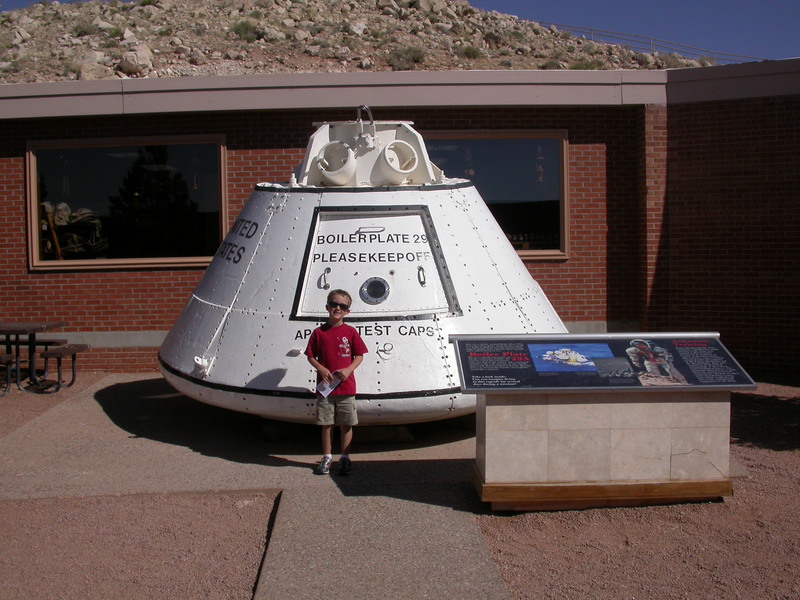 In the courtyard of the visitor’s center is this boilerplate capsule from the Apollo program. Boilerplate capsules were used for all kinds of testing: parachutes, launch escape systems, touchdowns on land and water, you name it. This is the second one that London and I have seen in the wild–there is also one at the Columbia Memorial Space Center in Downey, California (darn it, I’ve been meaning to blog about that place for about a year now). This isn’t just a random space decoration, either. 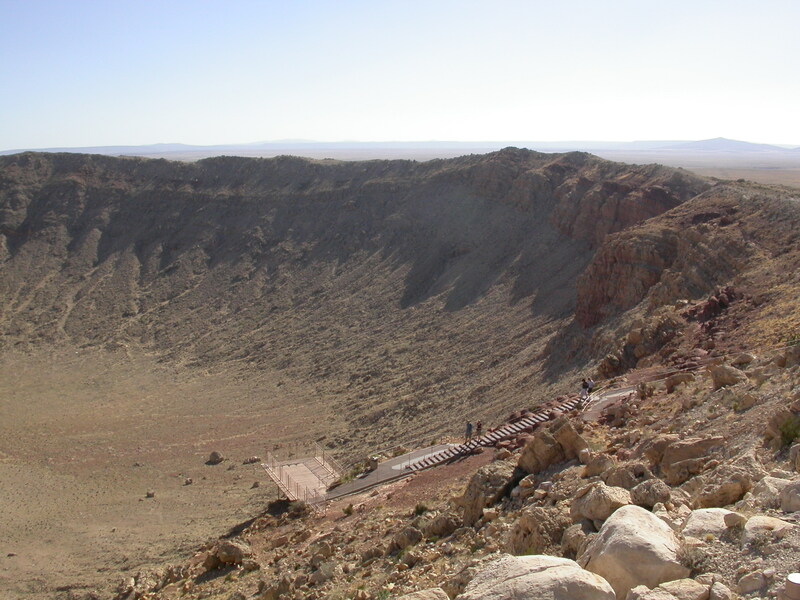 The Apollo astronauts trained at Meteor Crater with mock suits and backpacks before being launched to the moon. 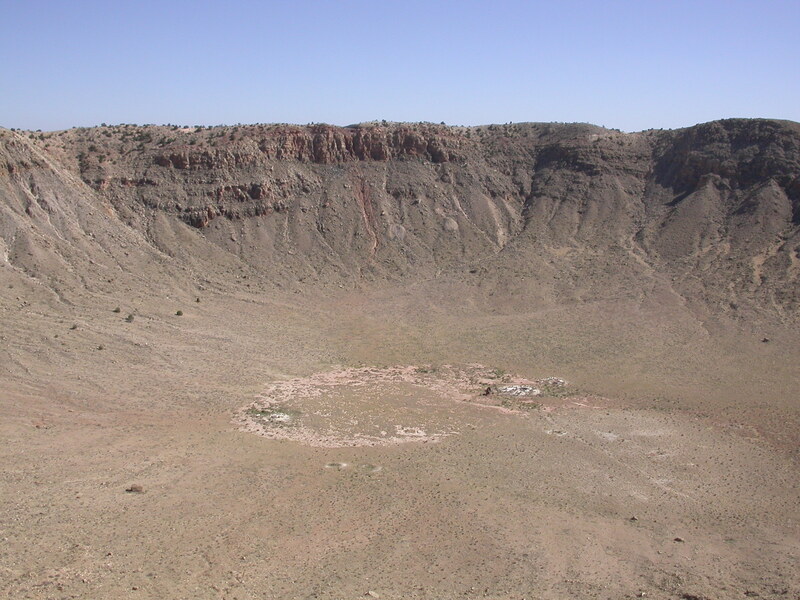 Here’s the crater itself. It’s too big to fit into a single photo, unless you’re in an aircraft or have some kind of fish-eye lens. 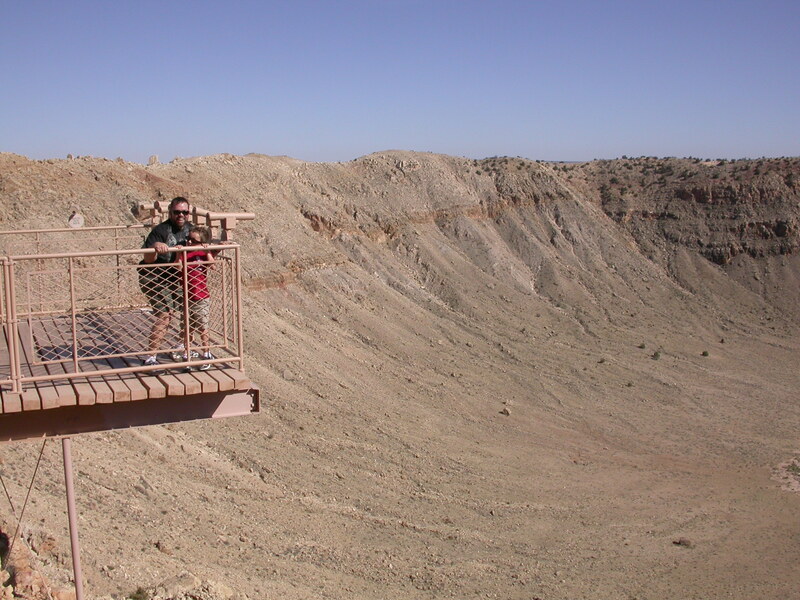 The crater is a little over three-quarters of a mile across, and a little under 600 feet deep, not counting the raised rim. It is extremely windy, too. 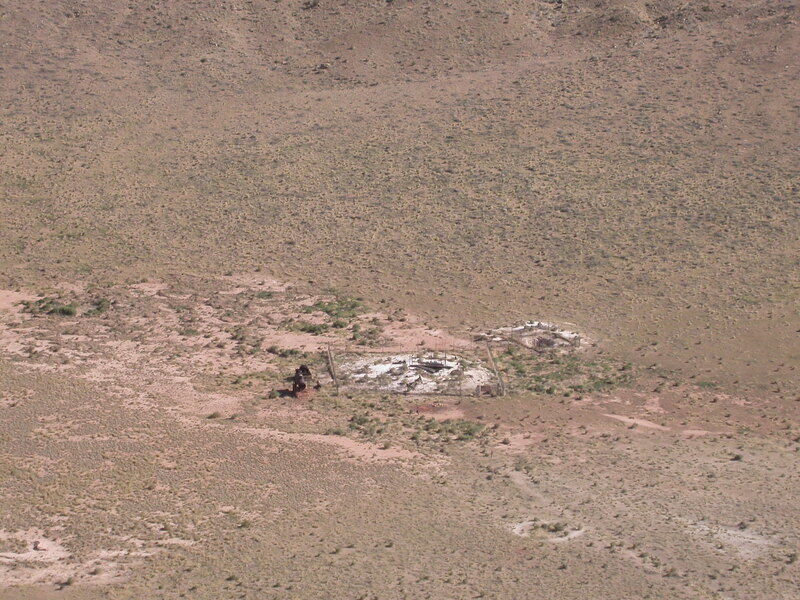 Here’s the view to the southwest from the highest observation platform–the platform shown in the previous photo is in the lower middle of this image. The wind up there was shockingly strong. I’ve been in 60-70 mph winds in desert storms and I think the gusts up there on the rim were about that fast. I’m a big dude, and not used to being pushed around by air, but the wind quite literally sent me stumbling a couple of times. Fortunately there were handholds all over the place. I set my camera to maximum zoom to get this shot of the fenced area in the center of the crater. If you click through to the full-res version, you may be able to make out an American flag and life-size astronaut standee at the near right corner of the fence. People walking around down there would look like ants. There was a nice museum inside, which we had to rush through because we spent all our time outside gawking at the crater. I did stop to get pictures of these shattercones, which only form under impact craters and nuclear explosion sites. 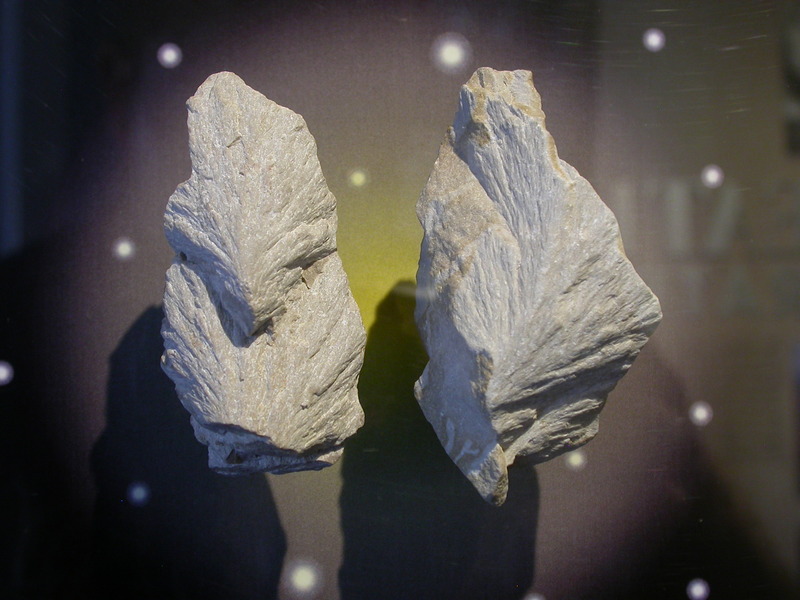 Shattercones have a nice fractal structure, and range in size from microscopic to tens of meters tall. That evening we drove up Mars Hill in Flagstaff to visit the Lowell Observatory. 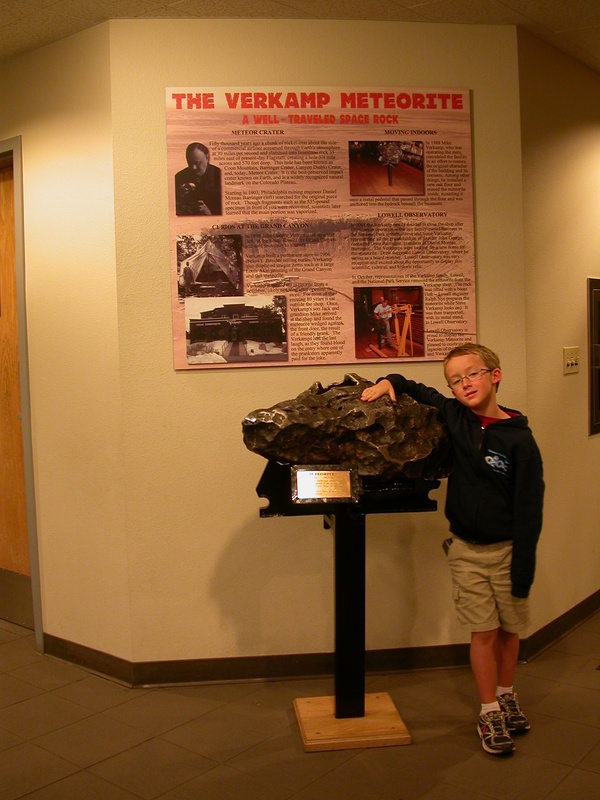 This segue photo shows a chunk of the Meteor Crater bolide on display in the observatory. 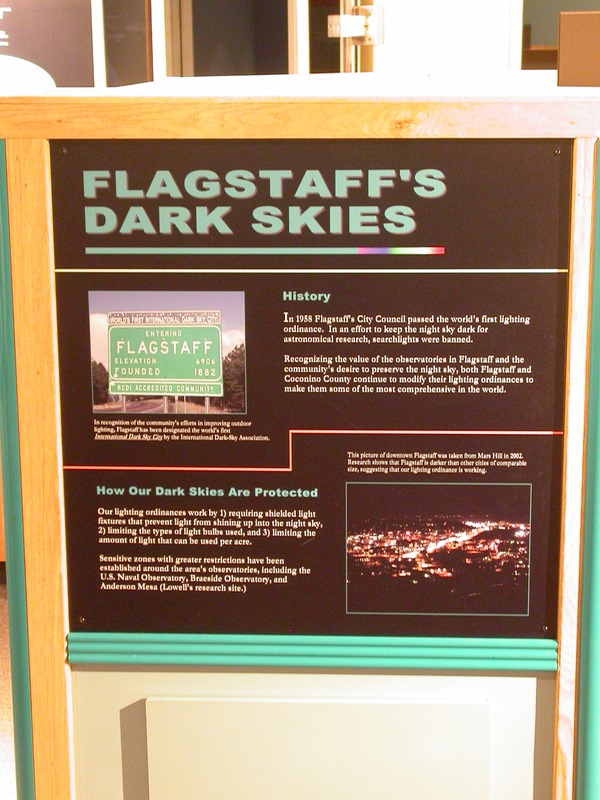 Flagstaff is a cool place for many reasons, not least the enlightened attitude toward light pollution–or rather, against light pollution. The city is plenty well-lit and never felt dim from ground level at night, but that’s because the residents use their power intelligently, with fully shielded, modestly bright light sources that face the ground. From the overlook on Mars Hill, based on the nighttime lights, you’d think it was a town of six to ten thousand. The actual population is just over 60,000. From the parking lot of our hotel I could see hundreds of stars. I have never seen such dark skies from inside any town of more than a thousand people. And they’ve been doing this in Flagstaff since 1958–when is the rest of the world going to wise up? 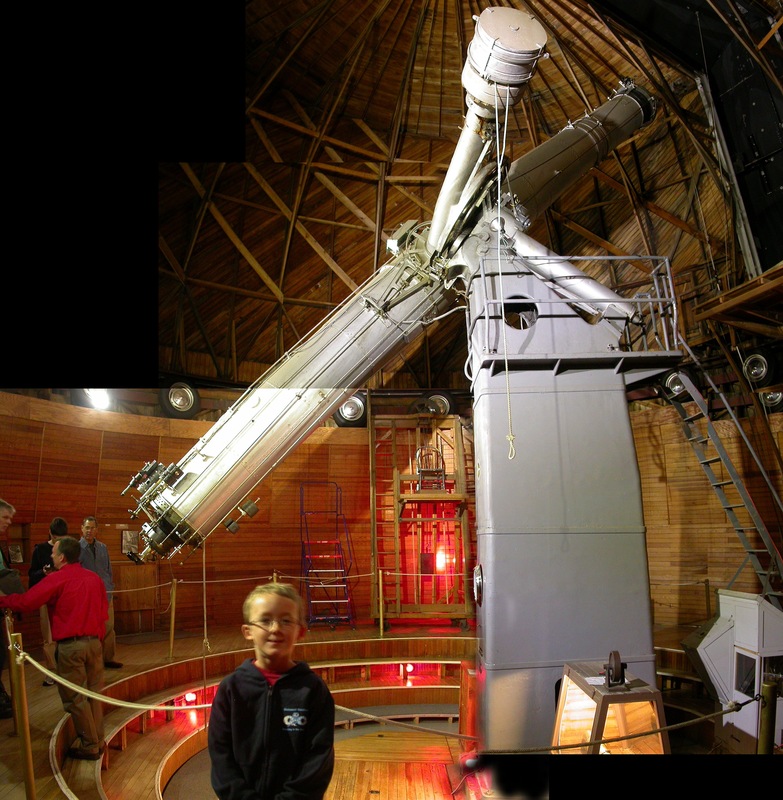 Of course, a big part of the reason we went to the observatory was to see the big 24-inch Clark refractor, which has been gathering starlight there since 1896. It looks like a near-perfect miniature of the 36-inch Great Lick Refractor, which also has Clark optics and went into service just 8 years earlier. 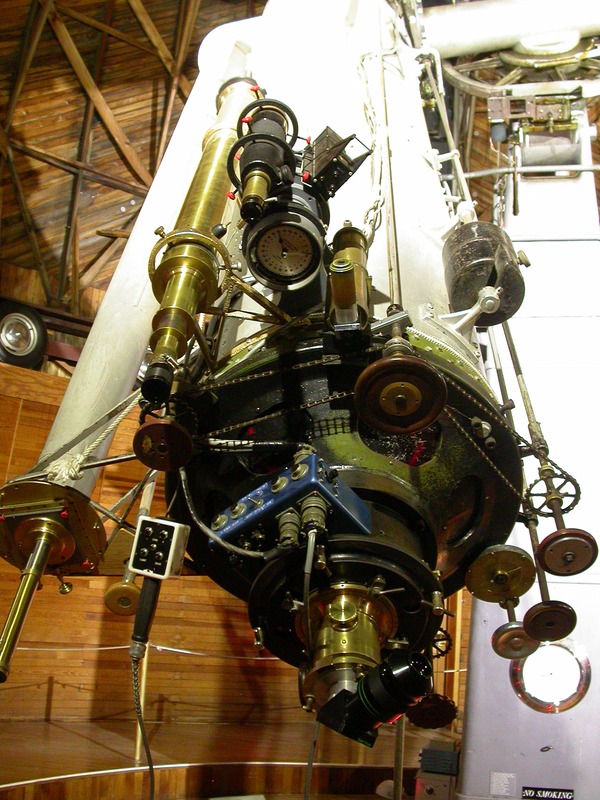 Percival Lowell used this telescope to chart what he thought were canals on Mars. Lowell’s writings about the ingenious Martians carrying water from the polar ice caps to water their dying world inspired both H.G. Wells and Edgar Rice Burroughs. Both of the latter authors played a big role in shaping my young mind, and I still revisit them periodically, so it was fitting that I finally visit the telescope that made it all possible (even if the canals turned out to be illusory). In a sense, Barsoom was born in this dome. Speaking of the dome, you’ll notice that it is made of wood and rotates on automobile tires. Those were obviously not part of the original design, but they’ve been in place for decades now. According to Timothy Ferris, who included a charming chapter about this observatory and this telescope in Seeing in the Dark, when one of the tires goes flat, the observatory staff jack up the dome to fix it. The “smart end” of the telescope looks like some steampunk enthusiast’s fantasy incarnate. It could pass for the control column of the Nautilus. The effect is only slightly diminished by the Telrad perched opportunistically amidst the Victorian gizmos. I realize that I haven’t said anything about Pluto. 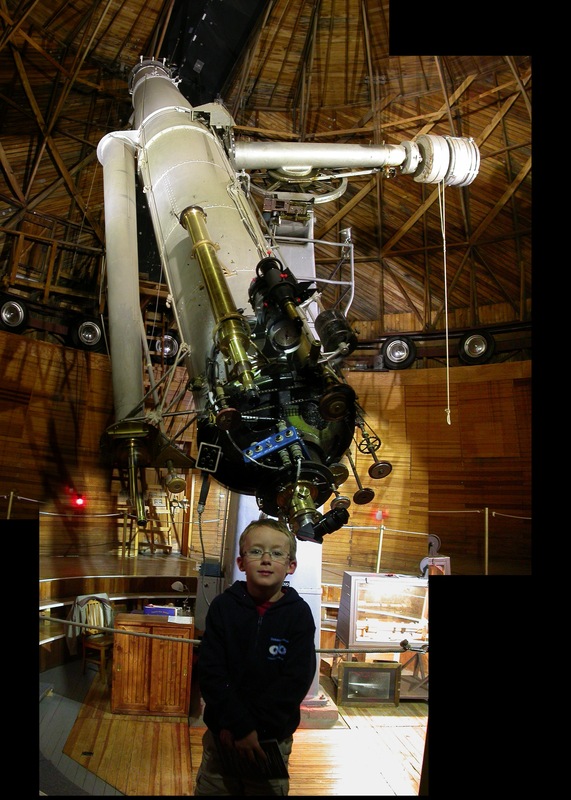 It was discovered at Lowell Observatory, but not with this telescope. I’d say more about it but I have nothing to say; I went up Mars Hill for Mars, not Pluto. 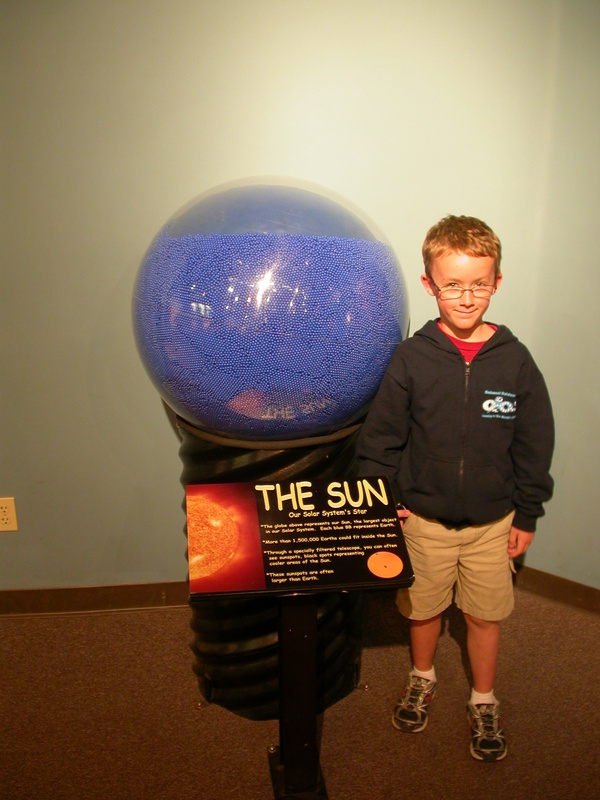 This was London’s favorite exhibit: a beach-ball-sized model of the sun filled with little plastic balls representing the Earth, to scale. It’s a fitting cap to this post, because it points the way toward the transit of Venus next week, when those blessed by geography and weather will see an Earth-sized speck moving across the face of the sun (about three times bigger than the Earth-spheres appear in relation to the sun-sphere in this display, since our sister planet’s orbit around the sun is two-thirds the diameter of our own). I may not have time to post again before then, so: clear skies! 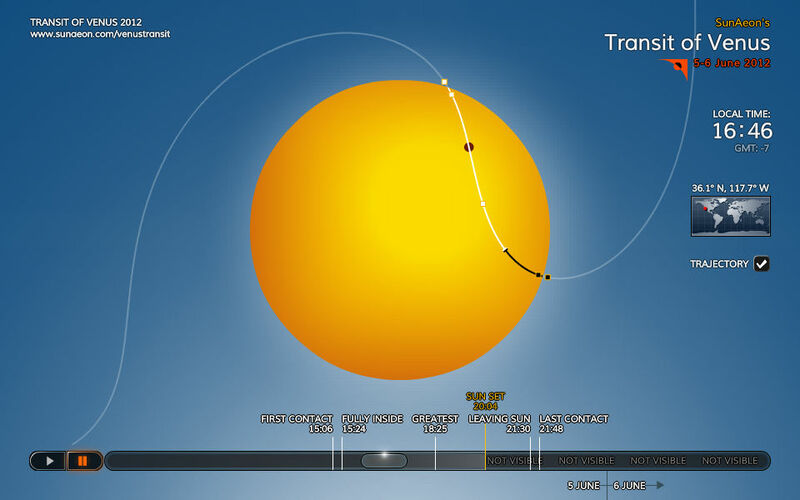 You are currently browsing the 10 Minute Astronomy blog archives for the day Tuesday, May 29th, 2012.